While not an officially sanctioned race, the Beer Mile competitions in New Orleans have some of the most heated match-ups of the year. Last night was the spring installment of the semi-annual event that routinely takes place at Pontiff Playground in Metairie. The premise of the beer mile is simple: drink a can of beer, then run a lap. The challenge takes place on a quarter-mile track, so the steps are repeated four times. If there is biological spillage (vomiting), you run an extra penalty lap at the end. That's the rules, down and dirty. Want to read more about the tradition? Yep, there's a Wiki page for it HERE. 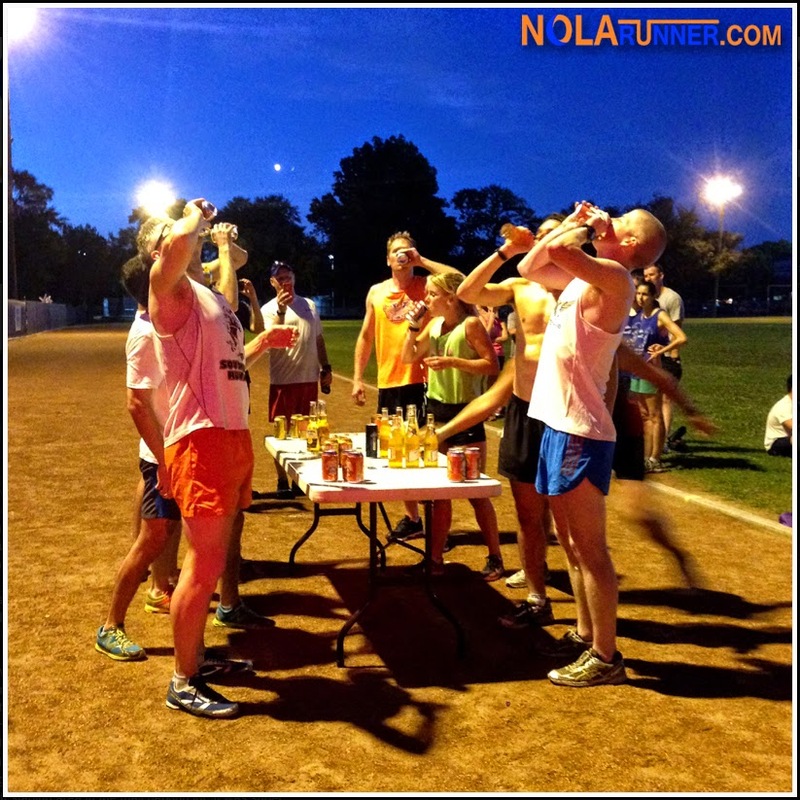 Last night's New Orleans Beer Mile featured 5 heats of runners / drinkers, separated out by expected finish times. The participants who wanted to take their time enjoying their beers went first, with the fastest chuggers going last. I learned my lesson during the Tchoupitoulas Barathon several weeks ago, knowing that I'm not capable of executing a drink and run. However, 45+ participants showed up with 6-packs in tow, with dozens more spectators present to cheer them on. The photos in the gallery below highlight more of the drinking than running, but there's no doubt that there were some speedsters present last night. To find out about future Beer Mile competitions in the New Orleans area, send a Friend Request to the official NOLA Beer Mile Facebook page HERE. Can't see the photo gallery below? LIKE the NOLArunner Facebook page HERE to check it out!